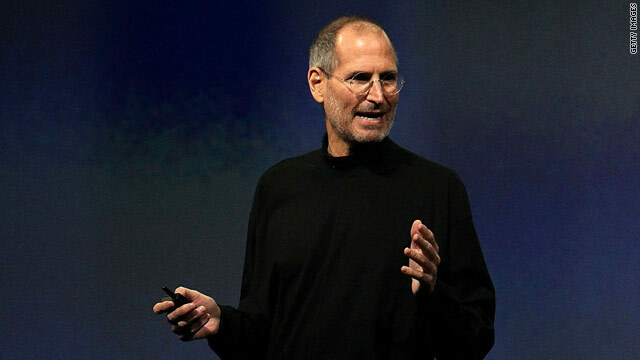 What will Apple reveal at this years WWDC? (Wired) -- News outlets may have spoiled the big surprise for Apple's upcoming Worldwide Developers Conference by publishing early photos and details of the next-generation iPhone. Nonetheless, in a recent e-mail, Steve Jobs promised a customer that "You won't be disappointed" by the announcements to come. What else might Apple have in store for the event, which happens June 7 to 11 at San Francisco's Moscone Center? Before last year's WWDC, Wired.com accurately predicted the introduction of new iPhones and MacBooks, as well as the release date of the Snow Leopard operating system. So with this year's WWDC keynote scheduled for June 7, we thought it'd be fun to step up and place our bets once again. In addition to the obvious new iPhone, we're predicting something big happening with relation to streaming video. Also, we dismiss recent rumors about Microsoft making an appearance to announce iPhone OS developer tools, and once again we file the possibility of a Verizon iPhone under "unlikely." Gizmodo and a Vietnamese blog appear to have spilled all the beans about the next-gen iPhone: an aluminum chassis, a thinner case, a front-facing camera, a higher-resolution screen and a camera flash. It's important to note that Apple legal confirmed in an unsealed affidavit that Gizmodo's prototype represented the fourth-generation iPhone, so there's no longer need to speculate about whether this really is Apple's next smartphone: It is. However, both Gizmodo and the Vietnamese blog were unable to demonstrate their prototypes actually doing anything, so plenty of questions still remain. We think the highlight feature of the 4G iPhone will be the front-facing video camera. How will video conferencing with a front-facing camera work in terms of bandwidth? AT&T has acknowledged its 3G network is overloaded by traffic coming from smartphones (especially iPhones), and plenty of people have issues just making phone calls or surfing the web. Also, think beyond 4G iPhone owners video-conferencing with other 4G iPhone owners. We predict 4G iPhone owners will be able to video chat with iChat users with webcams on their Macs. Corroborating our theory, already there are clues in developer releases of iPhone OS 4.0 that there will be iChat support in the next iPhone. Meanwhile, it's quite possible that Apple will have something to say about one-way video streaming. Perhaps Apple will finally put to use its massive data center, which could provide the bandwidth required for ubiquitous video feeds of movies, short video clips and more. We speculated in December that streaming video may eventually play a key role in Apple's future of personal media. After all, Apple's acquisition of Lala suggests the company is interested in turning iTunes into a streaming music service, and adding live video would turn iTunes into a personal media hub. One big question remaining is the back of the iPhone. Neither Gizmodo nor the Vietnamese blog were able to confirm the exact material, but they described it as a glasslike plastic. Here's the kicker: An analyst said in January that he'd heard Apple's next iPhone would feature a touch-sensitive housing similar to that seen on Apple's multitouch Magic Mouse. We're willing to guess the next iPhone's back will detect multitouch gestures so you can control core features such as the music player while the device is still inside your pocket. We would expect the next iPhone to ship sometime in June. (Apple announced its iPhone 3GS during WWDC on June 8, 2009 and began shipping it 11 days later.) A likely name? Engadget has heard iPhone HD, and we're into it. Apple already previewed iPhone OS 4 in March, but only a few key features -- multitasking, universal e-mail and the ability to create folders, among others -- were highlighted. Expect the full story at WWDC. The latest beta releases have already revealed clues about unannounced features, such as a new widget interface for the iPhone's music player, tethering for AT&T customers, and file sharing with your PC. In addition to getting the full details on iPhone OS 4, expect a release date -- possibly as soon as the day of the keynote. Apple has said iPhone OS 4 is due for release in the summer for iPhones and iPod Touch devices, and in the fall for the iPad. Developers and analysts are buzzing about a rumor that Microsoft's Steve Ballmer will take the stage at WWDC to announce its own third-party developer tools (possibly Silverlight) for making iPhone and iPad apps. That sentence already sounds ludicrous considering that Jobs, in an open letter explaining why Flash isn't allowed on the iPhone OS, made it crystal clear he didn't want meta platforms participating because they would result in sub-par apps. Wired.com phoned the analyst who made that prediction, Trip Chowdry, and he told us that he based his prediction on speculation from mobile developers, not hard evidence. Indeed, Microsoft announced on Twitter that Ballmer was not making an appearance at WWDC, so consider the "rumor" debunked. Along with angry AT&T customers, Verizon subscribers aching for an iPhone have been hopeful that Apple will share its next iPhone with Verizon. Don't bet on it happening at WWDC. The most credible rumor report, published by The Wall Street Journal, claims a CDMA iPhone is scheduled for mass production in September. Expect a Verizon iPhone no sooner than then, though we would lean toward the conservative side in guessing that such a device won't see the light of day until 2011.